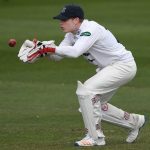 Sussex stepped up their promotion campaign with a comprehensive defeat of Glamorgan by an innings and 154 runs inside two days to move to second in the Specsavers County Championship second division table. Their third straight win was achieved by taking 20 Glamorgan wickets in two sessions, the two innings neatly divided by the first 40-minute interval. Although it was a day-night game, the floodlights were not required as the match was wrapped up by 7pm. It was a disappointing performance by bottom of the table Glamorgan, with only one win this season. But they ran into a Sussex side with too much firepower in their attack, with Jofra Archer, Ollie Robinson and Chris Jordan all outstanding. And appropriately the match was completed by its outstanding player, Archer, who uprooted Lukas Carey’s middle-stump to give him eight wickets in the match, four in each innings. Sussex coach Jason Gillespie said: “I can’t remember a performance like that. It was pretty special. The boys should be really proud of themselves. I’ve been around county cricket quite a while and that bowling performance was brilliant, as good as I’ve ever seen. It had been Archer who had propelled Sussex towards their sensational day with a devastating burst that brought him four wickets for four runs in just 11 deliveries as Glamorgan were bowled out for 85 before lunch in response to the Sussex innings of 327. Connor Brown was third out at 15, lbw to Archer as he attempted to work a straight delivery to leg. And Usman Khawaja failed again, this time mistiming his pull shot to give Phil Salt a good running catch. Cooke edged Jordan for Salt to take another good catch, this time tumbling to his left at third slip. And then Jeremy Lawlor was beaten and bowled as he played forward to Jordan. When Robinson replaced Jordan at the Cromwell Road end, he immediately bowled Carlson through the gate and the tail followed quickly.